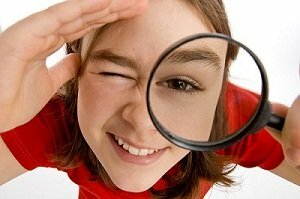 Scavenger hunt for kids? Absolutely!! I remember those fun scavenger hunts as a kid. Each team would be assigned one side of our road. We would take one pillow case per team, and the race was on. First team back home with the most items...WINS! Simple fun. If you live in a safe neighborhood where your children can go from door to door, then this activity is great fun! Sometimes going from door to door just isn't possible. If so, try some of our other themed scavenger hunts. No matter which list you choose to use, your kids will love the fun. The list of kid friendly hunts are especially designed for children. Each link will take you to a page that is all about that particular hunt. You will find Prior Set Up strategies, the Equipment needed and Rules for each. You can come back to this list simply by following the link at the bottom of each page.